RaidParty: Get free FORCE tokens and ETH from the gaming platform! RaidParty is a project from Jake and his colleagues, which offers a crypto airdrop (see below). But first, let’s start with a word on the project itself. They’re developing a social engagement platform, designed to bring players and developers together. And it’s designed to provide new ways to generate revenue for both players and developers. On one hand, RaidParty will introduce great new games to players. And reward them simply for playing – yes, you play and you get paid! And on the other hand, RaidParty will increase the revenue generation of developers, along with player attraction and retention, which are the gaming industries biggest struggle. Unfortunately, I don’t have many details about their tokens. Because there’s no white paper available. They’ve partnered with Force Protocol to create their own digital coins: FORCE tokens. And FORCE is a universal digital asset, which provides a transportable value throughout the gaming and entertainment ecosystem. Or in other terms, they’ve designed FORCE to provide both developers and players with instant payments and rewards. And FORCE tokens can either be exchanged for goods or cashed out for fiat currency. How to get the free FORCE tokens? RaidParty airdrop is now open. And it will run until they reach 150,000 sign ups. There are multiple stages to the cryptocurrency airdrop. And with each stage, you can get more free FORCE tokens. But first of all, you need to register here. Click on Enter Free Contest. And fill in the required fields: First name, surname, email address and password. Also, you need to solve the captcha, before clicking on the Join Contest button. You’re now part of the crypto airdrop and you’re eligible for 2 free FORCE tokens. And you can get an extra 2 FORCE tokens for each game you download and play. You must play at least one full game on each game to earn the reward. There are currently 4 games listed on RaidParty, with the potential for more. So you can earn up to 10 FORCE tokens. 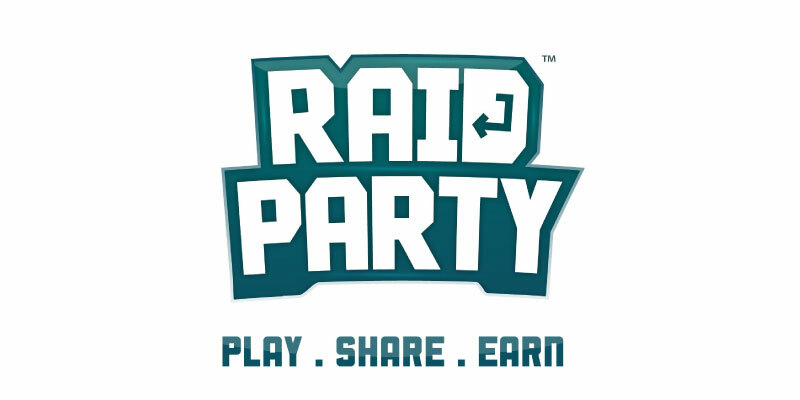 Furthermore, RaidParty also rewards players for reaching certain in-game tasks, achievements and challenges to which they can earn higher amounts of FORCE. But I have no details for you here, you’ll have to check yourself. Finally, they’re also conducting huge giveaways for 3 of their games: You can get up to 10 ETH if you’re lucky enough. RaidParty will pay you for playing games! And provide you with new games on a regular basis. So join their platform and enjoy some free FORCE tokens today. Participate and you could get up to 10 ETH!